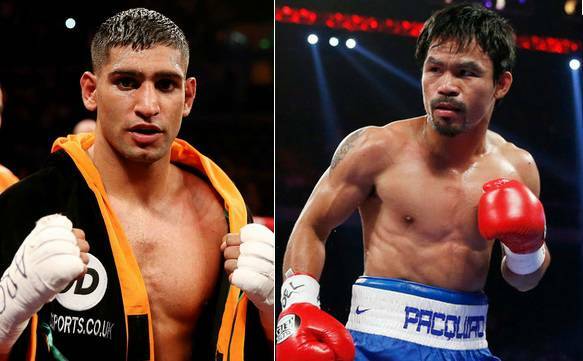 Amir Khan will fight Manny Pacquiao on Saturday, 23 April 2017 in yet to be announced venue. Both fighters have confirmed that they have agreed to terms and date is confirmed for 23 April while the official announcement of venue will be announced soon. Amir Khan and Manny Pacquiao are on the verge of confirming their bout which will take place on Saturday, 23 April 2017. According to british media Amir Khan representatives has signed the deal and we can expect the official announcement within this week. Unlike the earlier rumours of fight taking place in Dubai the location is likely to be in United Kingdom either London’s O2 Arena or in Manchester. Pacquiao announced the fight on his official tweeter account while Amir Khan did the same on Sunday morning. Its a big money fight wherever it takes place and we can safely assume none of the US venues are in contention to host this fight. Bob Arum wanted Pacquiao to fight either Top ranks very own Terence Crawford but top cover Pacquiao purse demands Arum had to choose someone box office and Amir Khan tick all the boxes in not only american market but also his native British where SkySports/Bt Sports is likely to use it as a ppv event. Deal is not confirmed yet and Bob Arum might still come up with something like Pacquiao/Crawford or even Pacquiao/Bradley 3. But its hard to see Pacquiao attracting big PPV numbers with either of those fights. As far as Amir Khan is concerned he will finally has his shot at mega star he has been begging for a while. 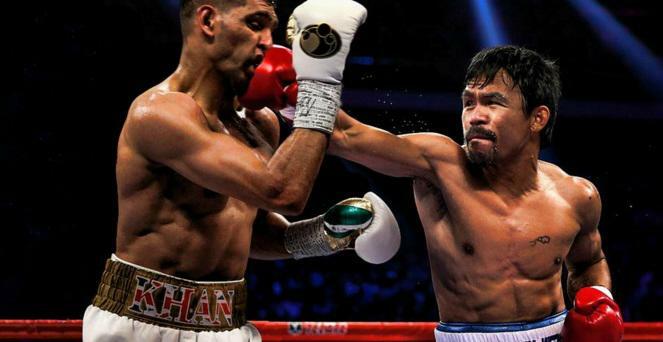 A win for Amir Khan against Manny Pacquiao will elevate him to no.1 contender for recently vacated WBC world welterweight title. Fight Tickets: Once the fight is officially announced the ticket and TV Coverage details will be released in the first press conference in either London or New York. We will have more information and details as soon as the fight is officially announced.